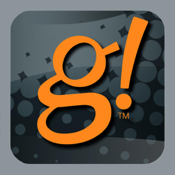 g!Mobile provides an interface to a g! home entertainment and management system on an iPhone, iPad and iPod Touch. The ELAN g! System integrates and provides control for media, home theater & distributed audio/video, security, climate, lighting, video cameras, irrigation, pool, spa, home messaging and more.